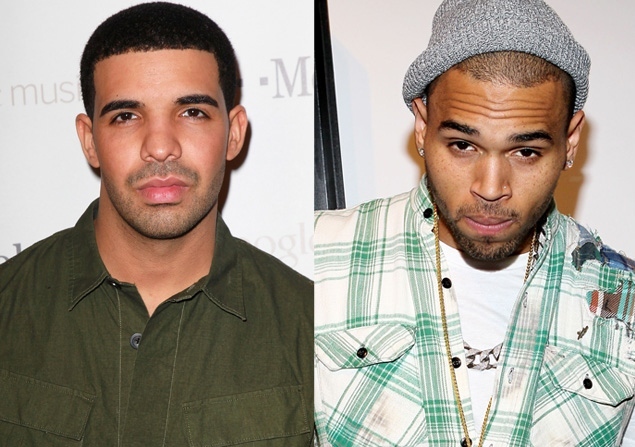 WORD HAS IT that Chris Brown has decided not to press charges against Drake or Meek Mill in the infamous bottle throwing incident at club W.i.P in New York. We also confirmed that Drake was the one who wrote a nasty note to Chris about sleeping withRihanna — this is what started the brawl. Another source confirms that Meek Mill, 25, stuffed the note into a bottle and threw at Chris giving him a gash on his chin. This is messy on so many levels. Drake must’ve been sippin on that Super Thug that night. Drake and Breezy just need to go ahead and hop on a track together with Rihanna singing the hook. This entry was posted in Celebs, Gossip and tagged Beef, charges, Chris Brown, Drake, NY, Rihanna, squashed. Bookmark the permalink.